In recent years, Hessle Audio has occupied a clearly defined slice of the electronic music pie. Rough, endlessly forward-thinking dance floor-oriented electronics are the modus operandi. Larry McCarthy, an artist who first emerged through Dnuos Yyvil and Hessle Audio, is the exemplar for anyone else trying to make electronic music in the vision of Ben UFO, Pangaea and company. As Bruce, McCarthy has consistently delivered master classes in managing dissonance mangled with ear-wormy hooks. Five years from his debut release, we have an album: Sonder Somatic. Within the first few seconds of the LP, we know that McCarthy means business. "Elo" sets the tone with distorted stabs that give way to a steely rhythm that maintains consistent throughout. This eventually gives way to a moment of near-euphoria, when the chord progression undergoes an inflection to loftier heights. Of course, scattered throughout are the various Bruce-isms that separate his production from others. Shrill synthesizers that shift into warbling bass, and all manner of percussive glitches keep things interesting. "Cacao" continues in a similar vein, with a repetitive pulse that sounds like a dystopian radar system gone wrong. Only at "Ore" is the first real curveball (in terms of his discography) heard. The pace is slowed, and the low-tone bass hums become the focal point, almost feeling like a trudge. This is similar to "Baychimo," which arrives later on. Even with McCarthy's prowess in percussion, there are still tracks in the LP almost devoid of it. On "Torn," the synthesizers are what drive the quick rhythm, which almost feels as though it could ride above a jungle breakbeat. "It'll Pass" as another such composition, relying on synthesizers to maintain a sense of momentum. Even for the strength of all of the album's material, there are two moments where McCarthy really shines. On "What," we have a moment of dance floor insanity. A vocal sample is stretched into a manic pad sound that spans the entirety of the track, and it marries an equally manic piece of synthetic arpeggiation. The two components build at an unrelenting pace for the entirety, and has already been a staple in the discerning DJs repertoire. "Æon" takes a different approach, and feels like what Bruce would sound like if made more "progressive"-sounding music. Synth lines that soar above the most contemplative pad sounds in the project result in an entirely cathartic experience. 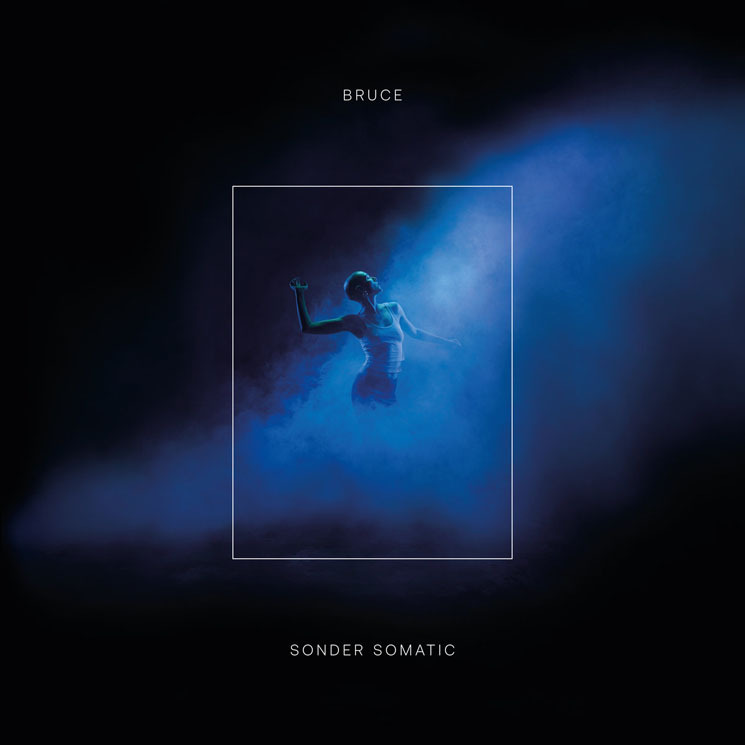 This, complete with a breakdown that may even draw a peering gaze from the likes of a Dixon or two, result in one of Bruce's strongest compositions.